FlexTime is a timer for repetitive activities. 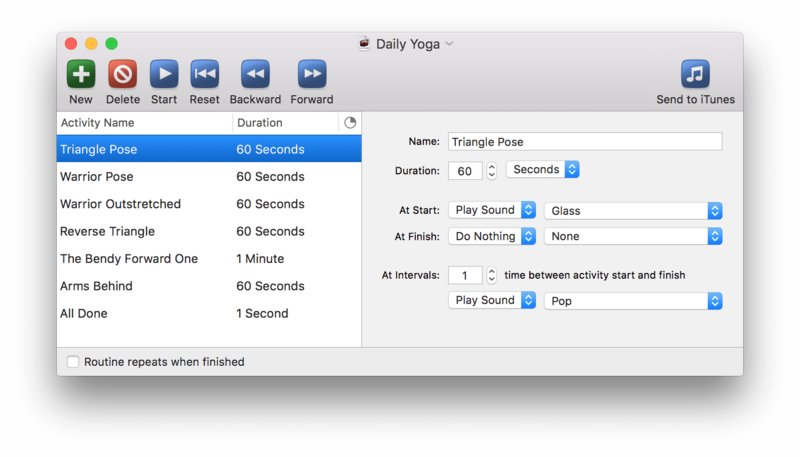 Use it for scheduling your workday activities, stretch breaks, dance, meditation – you name it! Design a routine of timed activities and assign them custom cues of various types: play a sound, run a script, show a text message, or speak text.